Providing pediatric speech & language therapy, occupational therapy and developmental therapy for families in Sanford & nearby communities. 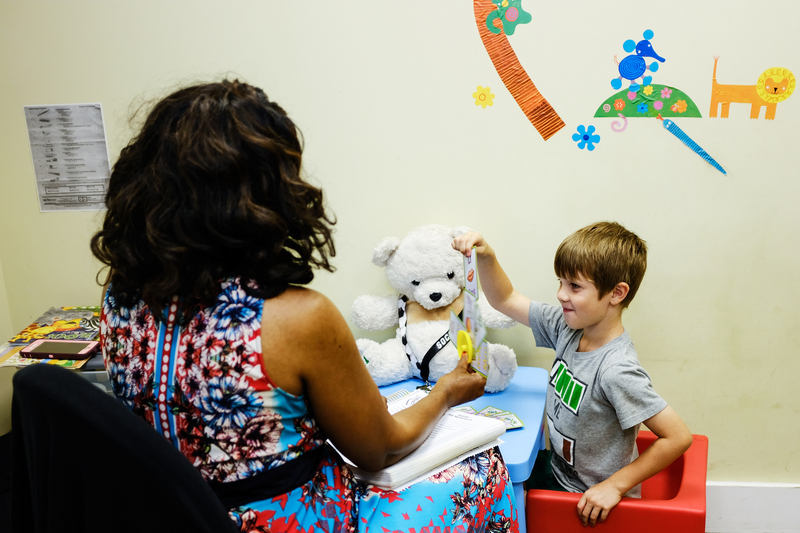 Our highly skilled, passionate and enthusiastic team of speech-language pathologists, occupational therapists, and developmental therapists are ready to service your child’s specific needs. 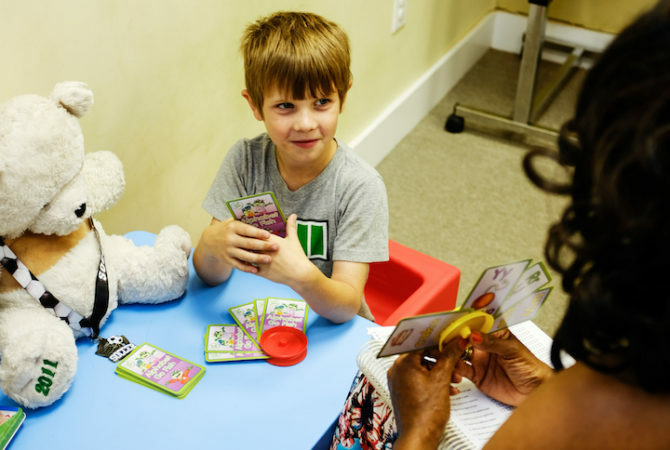 Theraplay provides speech & language therapy, occupational therapy and developmental (CBRS) therapy services for children in Sanford and nearby communities in Lee County and surrounding counties. 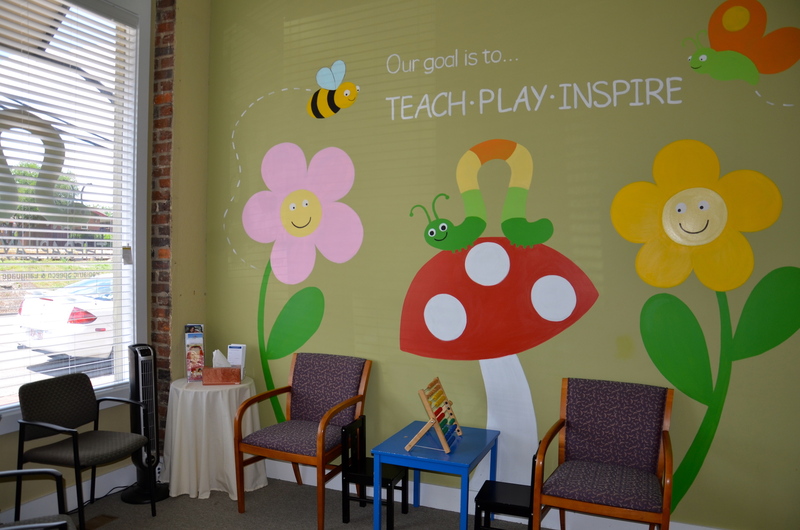 We provide pediatric therapy services for children and families, both in our therapy center in downtown Sanford, and in the community at large. 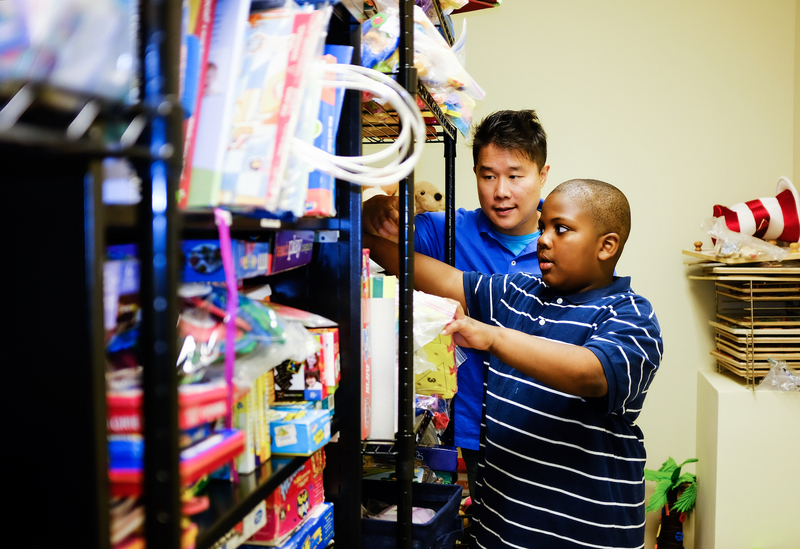 Our mission is to provide quality patient-centered and family-centered services to children with communication and other developmental impairments in a spirit of excellence. Pediatric occupational therapy plays a key role in helping children on their path to becoming functioning and flourishing individuals through emphasis on cognitive skills, motor skills, social skills and self care. Pediatric speech-language pathologists evaluate and treat children who have challenges with speaking, language comprehension, communication, developmental disorders or physical limitations. Pediatric developmental therapy allows trained therapists to integrate a full range of skills, such language, emotional, motor and conceptual, to help children in all areas of their development. At Theraplay, we approach everything we do with a servant mindset. Our children and their families come first, of course. The way we serve our kids is what really matters. 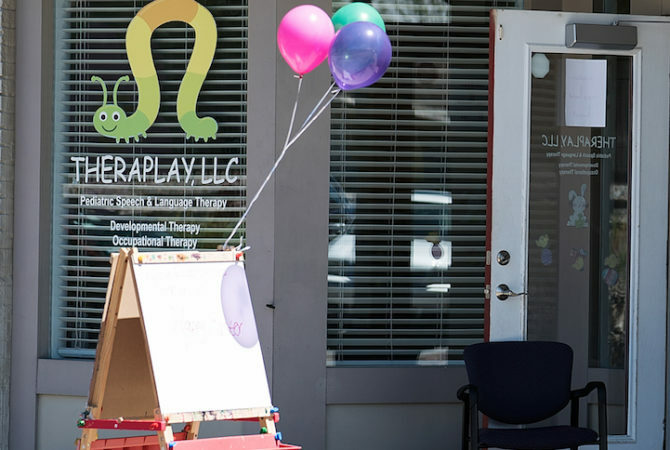 Theraplay’s speech therapists, occupational therapists and developmental therapists customize their expertise to address the specific needs of each child. No two children are treated in the same way. We utilize a full-range of activities and objectives in order to measure and achieve our collective goals. As our name implies, we take a creative approach, using therapy, play and other methods to serve our children. The servant mindset at Theraplay extends beyond our practice. 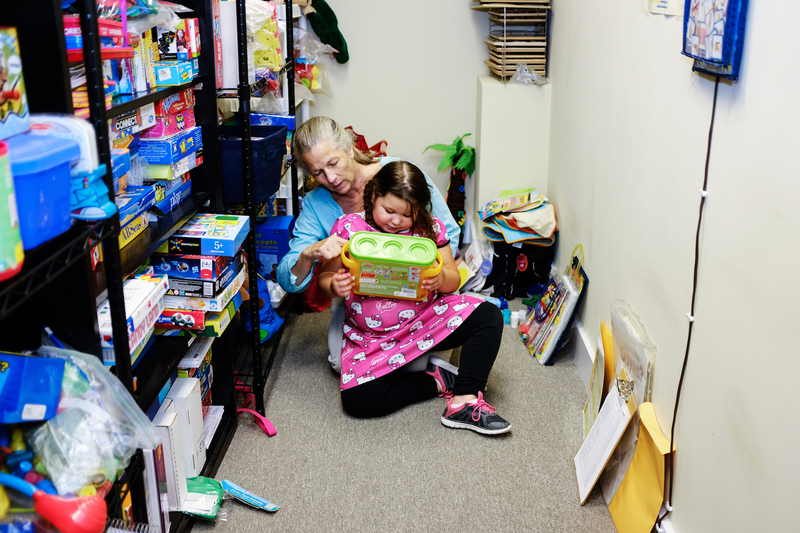 Theraplay has an ongoing history of community service in Sanford and beyond. We welcome the opportunities we have to provide resources to families in the area. We’re happy to conduct workshops and seminars with local schools, civic groups, churches, agencies, practitioners, and parent organizations to help families flourish. 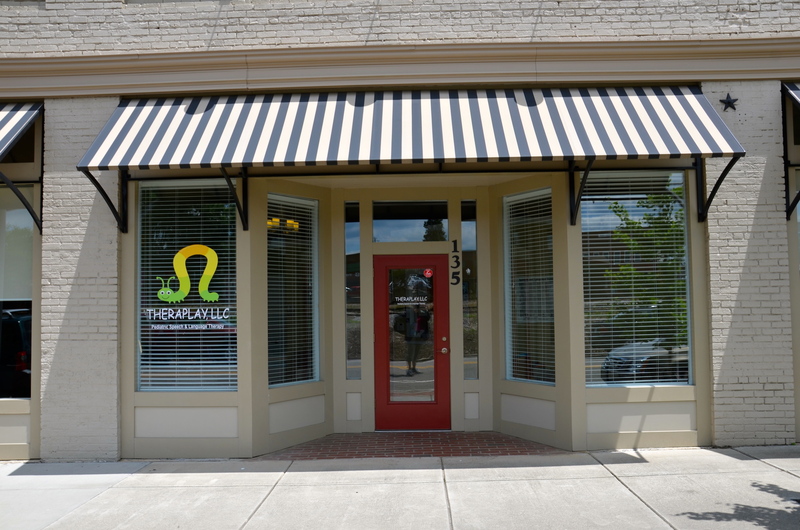 Any time the Theraplay team can be of service to your group, we hope you will call on us. We are very pleased with our Speech Therapist, Miss Holly. She is so positive and kind to our daughter. We love that she explains what our daughter is working on after each session. Ms. Holly also gives our family new ideas on how we can encourage and help our daugher. We have seen improvement already. Thank you, Theraplay! I absolutely love the staff and all they offer. I never feel rushed nor over looked. Every visit they make us feel like we are top priority. My 3 & 4 year old get excited as soon as we turn on Chatham Street. I couldn’t ask for a friendlier place for our 2 little ones and in just a few sessions I see an improvement. I recommend Theraplay 1000%.